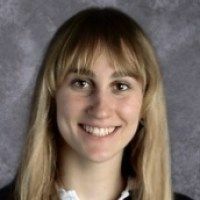 Congratulations to junior Felicia Daigle whose essay on plastics in the environment was chosen from 600 submissions as a finalist in Sen. Bernie Sanders' annual State of the Union essay contest. Well done, Felicia! Students from around Vermont wrote essays focusing on what they believe are the “major challenges facing our country, and how to solve them.” As a finalist, Felicia has been invited to join a roundtable discussion at the Vermont Statehouse. Her essay will also be added to the Congressional Record.